Each election cycle CeaseFire Pennsylvania, the advocacy arm of CeaseFirePA, aims to asses the dedication to gun violence prevention policies from all candidates across the commonwealth. We believe that voters all over PA should be able to quickly and easily see if candidates running in their districts are supportive of the policies that we believe reduce gun violence and save lives. 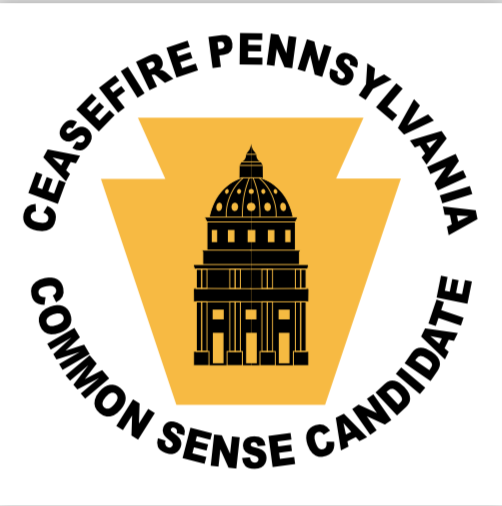 Below is the list of candidates that have received CeaseFire Pennsylvania’s Commonsense Candidate designation. This designation means that candidates in a competitive race completed and received a very high score on our candidate questionnaire . This designation does not mean CeaseFire Pennsylvania is making a formal endorsement in the race, rather it is highlighting candidates with a firm understanding of issues and an expressed dedication to supporting policies that will make a difference. CeaseFire Pennsylvania endorsements will be reserved for select key races and will be announced in the coming weeks.